Inconsistencies and anomalies abound when one turns an analytical eye to news of the Newtown school massacre. The public’s general acceptance of the event’s validity and faith in its resolution suggest a deepened credulousness borne from a world where almost all news and information is electronically mediated and controlled. The condition is reinforced through the corporate media’s unwillingness to push hard questions vis-à-vis Connecticut and federal authorities who together bottlenecked information while invoking prior restraint through threats of prosecutorial action against journalists and the broader citizenry seeking to interpret the event on social media. In light of this, who were the qualified medical practitioners that pronounced the 20 children and 7 adults dead? Who decided that none could be revived? Carver and his staff are apparently the only medical personnel to have attended to the victims—yet this was in the postmortem conducted several hours later. Such slipshod handling of the crime scene leaves the State of Connecticut open to a potential array of hefty civil claims by families of the slain. A highly circulated photo depicts students walking in a single file formation with their hands on each others’ shoulders and eyes shut. Yet this was the image of a drill that took place prior to the event itself.[10. See Correction] Most other photos are portraits of individual children. Despite aerial video footage of the event documenting law enforcement scouring the scene and apprehending one or more suspects in the wooded area nearby the school, there is no such evidence that a mass exodus of children from the school transpired once law enforcement pronounced Sandy Hook secure. Nor are there videos or photos of several hundred students and their parents at the oft-referenced fire station nearby where students were routed for parent pick up. If recent history is a prelude the likelihood of citizens collectively assessing and questioning Sandy Hook is limited even given the event’s overtly superficial trappings. While the incident is ostensibly being handled by Connecticut law enforcement, early reports indicate how federal authorities were on the scene as the 911 call was received. Regardless of where one stands on the Second Amendment and gun control, it is not unreasonable to suggest the Obama administration’s complicity or direct oversight of an incident that has in very short order sparked a national debate on the very topic—and not coincidentally remains a key piece of Obama’s political platform. 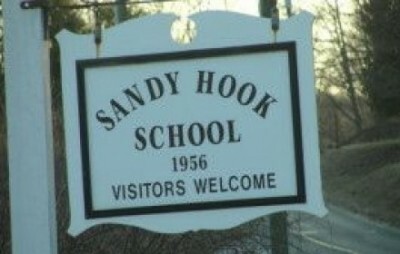 http://thenetng.com/wp-content/uploads/2012/12/Sandy-Hook-Elementary-School-600×400.jpg. 12/25/12 Update/Correction: Note that this photo of approximately fifteen children allegedly being evacuated from Sandy Hook Elementary was reportedly produced on December 14. See Connor Simpson, Alexander Abad-Santos et al, “Newtown School Shooting: Live Updates,” The Atlantic Wire, December 19, 2012. Still, the paltry number of children confirms the claim that little photographic evidence exists of Sandy Hook’s 600 students being moved from the facility on December 14. This photo was from a Tweet of a Sandy Hook drill published by the school’s slain principal Dawn Hochsprung titled, “Safety First.” See Julia La Rouche, “Principal Killed in Sandy Hook Tweeted Picture of Students Practicing an Evacuation Drill,” Business Insider, December 16, 2012.